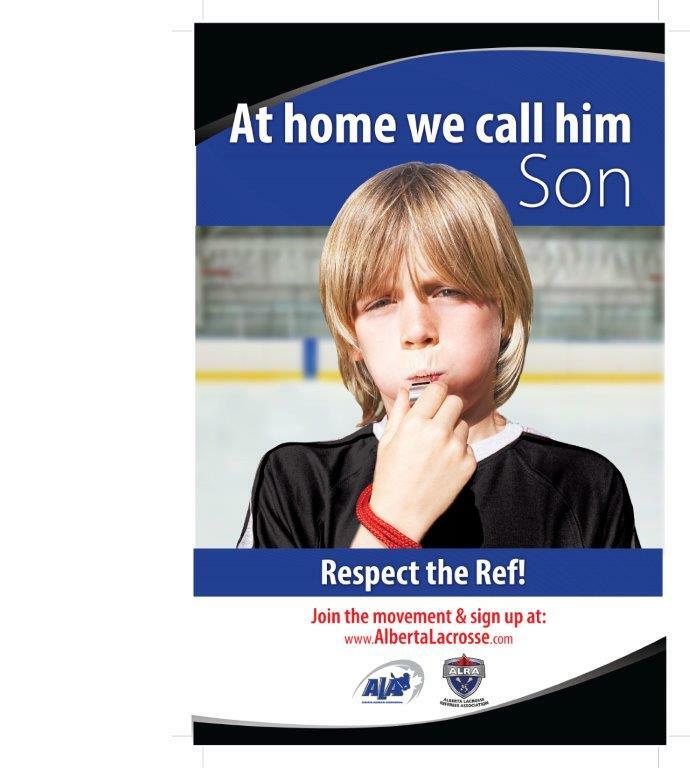 The Alberta Lacrosse Association is taking on the initiative to promote the Respect The Ref Campaign. To bring awareness to this, all ALA referees will be wearing Green Respect The Refs T-Shirts for the first two weeks of the season. They also encourage all members to sign the pledge located on their website.